Become an Industry Expert With us.! Become Professional With Problab Technologies. For a business to succeed it important to create a connection between buyers and sellers and affiliate marketing course in Chandigarh does exactly that. 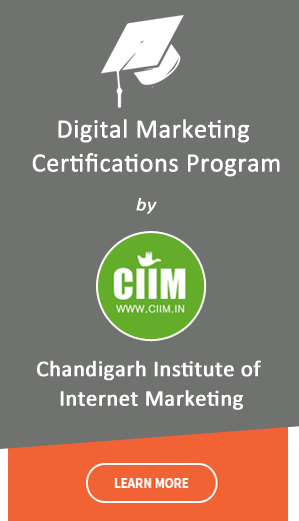 Affiliate marketing Training in Chandigarh is a cost-effective digital marketing technique where different publishers and websites help promote your products and services online. Affiliate marketing is a type of performance-based marketing in which a business rewards one or more affiliates for each visitor or customer brought by the affiliate’s own marketing efforts. Affiliate marketing works by rewarding an affiliate whenever your business earns a customer or sale through an advertisement on the affiliate’s website. Payments can be made by different means but in the end it’s all about different affiliates generating business for you. How to sell through Affiliates? Why set up an Affiliate program? How to drive traffic using Affiliate marketing? How Affiliate marketing differs from banner advertising? Affiliate marketing can be very beneficial for your business when performed in the right way. In our digital marketing training programme, you will learn how to create successful affiliate marketing plan for your online business growth. Another benefit of affiliate marketing is that it helps entrepreneurs in their SEO efforts. Search engines prefer quality inbound links and with relevant affiliates promoting your business on their website, it is no doubt search engines will rank your business on top pages. We covered the full fleshed syllabus mentioned above. Our Aim is to provide you the best Affiliate Marketing training classes. Teach you how to develop post, how to write content, how to create and manage the profile. Provides you corporative, technical and healthy environment. Classes are on daily bases no issue of time. Training based on particle and theoretical based which is helpful you to clear your interview. As an IT Company in Chandigarh we fully satisfied you with our services and teaching skills of our faculty. Course : Affiliate Marketing Training in Chandigarh. Duration : 3O – 45 Days, Affiliate Marketing Training in Chandigarh. Ready to get started with Problab Technologies Pvt. Ltd.? Copyright 2014 Problab Technologies pvt. Ltd.TM. All rights reserved. The contents of this website are protected under the Copyright Act 1957.Any infringement of the copyright material is punishable under the law.